Striped Bass fishing is good throughout LIS. Squid are abundant in eastern LIS while schools of bunker (Atlantic menhaden) are in western LIS. Live lining bunker or eels on three-way rigs or fish finder rigs is the ticket. Just remember to use circle hooks to avoid gut hooking. Also Milford Harbor breakwaters and Charles Island area including the tombolo, Stratford Shoal/Middle Ground, Housatonic River (up to the Derby Dam), Penfield Reef, around the Norwalk Islands, and the reefs off Stamford and Greenwich. Bluefish fishing is better in western LIS with fish weighing in the double digits being reported. Bluefish spots include the Race, Millstone outflow, Plum Gut, Gardiners Bay, New Haven Harbor (Sandy Point), buoys 18 and 20 off Stratford Point, Stratford Shoal/Middle Ground, Penfield Reef, and the Norwalk Islands. Fluke fishing is good. The north side of Long Island from Horton Point over to Port Jefferson has been yielding big numbers but most are sub-legal size fish. Other spots include the south side of Fishers Island, Black Point/Niantic Bay, Westbrook-Clinton area, and off the New Haven breakwaters. Winter Flounder can still be caught in the Pine Island area (Groton) and Niantic Bay. Just as a reminder, the winder flounder season closes May 31. "For Current Connecticut Recreational Fishing Regulations: Anglers should consult the new 2012 Connecticut Anglers Guide which is now available at most Town Clerks' Offices, DEEP offices, and at tackle stores selling fishing licenses. Anglers can purchase their fishing licenses online (www.ct.gov/deep/fishinglicense) or at participating town halls, DEEP field offices and fishing tackle vendors. 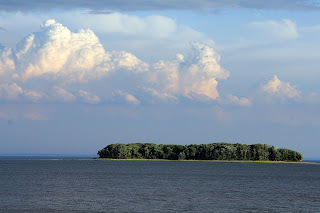 ”The Connecticut Department of Energy and Environmental Protection (DEEP) announced Thursday…that Charles Island in Milford and Duck Island in Westbrook will be closed to the public from now through September 9, 2012, to prevent disturbances to nesting birds.